Breakfast: the first meal of the day. One that is often missed or enjoyed in a rush, sitting in your car or while running out the door. From a young age, we have always been told that breakfast is the most important meal of the day. It is required to give us energy to think and do so we can be at our best. There is no doubt that the benefits of a good meal in the morning will help get our engines revving but sometimes the morning rush gets the best of us and next thing we know, we are grabbing a muffin or bagel on the go. The calories, sugar, and fat in these baked goods is enough to accelerate your weight gaining engine as well! Not to mention, it is definitely not supplying the type of energy we need. Can anyone say sugar rush? On the flip side, weekends can include long and dare I say, lavish breakfasts of greasy, fatty foods that are just oh so good! Our hips, thighs and bums are definitely not thanking us for either of these options so what is the alternative? Try out one of my sure to satisfy options below that meet healthy and satisfying breakfast criteria but don’t break the calorie bank! No matter if you are the breakfast skipper; the ultimate breakfast lover or a time crunched commuter, there is something for everyone! Before you start, here are your grocery needs along with their amazing health benefits. Stock your fridge and pantry with these healthy swaps and you will never feel lost for morning ideas again. Your body will thank you for it! Ezekiel Bread: contains no flour and is made up of a mixture of grains and legumes—organic wheat, millet, spelt, barley, soybeans and lentils (all sprouted). Ezekiel bread is a complete source of protein, containing all nine essential amino acids. It will keep you fuller, longer. Almonds, Almond Milk & Almond Butter: nuts help bodies regulate blood sugar and lower your risk of heart attack. Full of magnesium and vitamin E, almonds will help support bone health and help your body produce energy! Greek Yogurt: packed with protein and probiotics, Greek yogurt will keep your digestive health in check as well as your hunger. Chia Seeds: another one of the superfoods that are nutrient dense and pack a ton of energy boosting power. Helping with aging, heart health and digestion, this is a food you cannot pass up! Oatmeal: rich in dietary fiber and helps lower cholesterol. A bowl of this good stuff will keep you kicking for hours! Berries: rich in antioxidants, these tiny fruits help improve your health, protect your skin and hair as well as prevent disease. Bananas: also rich in antioxidants, these breakfast staples are known to reduce swelling, protect against developing type-2 diabetes, aid in weight loss and strengthen the nervous system. Ready to get your morning mojo going, these 5 healthy breakfast ideas will have you feeling excited and eager for your mornings again! Ready, set, EAT! 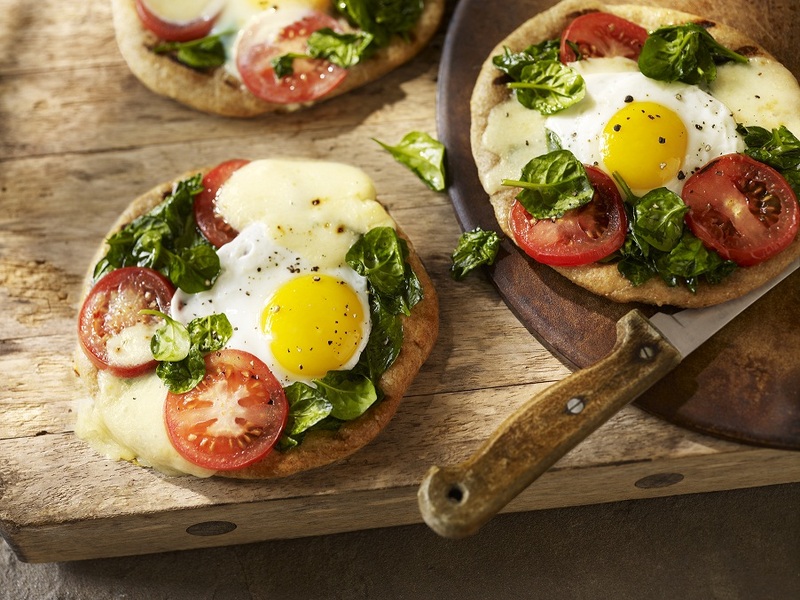 power-packed breakfast to keep you going for hours! For all my morning commuters, this is an easy one for you. Prep takes less than three minutes and can be done from the night before. It is also jacked up with amazing health benefits that will keep you full, energetic and satisfied until lunch. Pour 1 cup nonfat, plain Greek yogurt into a Mason jar or Tupperware. Top with 1 tbsp. natural almond butter, ½ a sliced banana and 1 tbsp. of chia seeds. Grab a spoon and enjoy! So maybe you are not a breakfast person? The thought of eating anything before 11 am just turns your stomach and you refuse to torture yourself into gnawing on a piece of toast. No problem! How about drinking your breakfast? This quick and easy recipe can be enjoyed on the go, and prepared in less than 2 minutes. 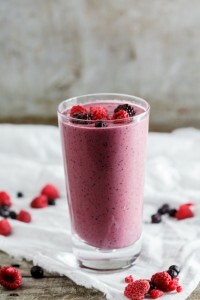 In a blender mix, ¼ cup unsweetened almond milk, 1 cup nonfat, plain Greek yogurt, 1 cup mixed berries, ½ a banana and 1 tbsp. chia seeds. Blend and sip your way to happiness! Are you on a time crunch that doesn’t afford you a single moment to eat before heading out the door? Do you prefer to eat breakfast once you’ve reached the office? Then this one is a match for you. 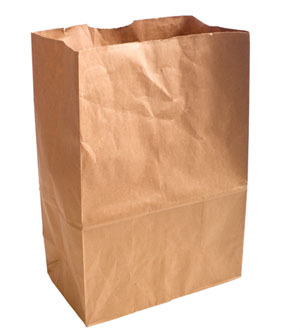 You can prep your ingredients separately from the night before and add to your lunch bag. Mix ½ cup of natural rolled oats with ¼ cup unsweetened almond milk, 1 tbsp. sliced almonds, 1 tbsp. natural almond butter, ½ sliced banana and a sprinkle of cinnamon to taste. Mix in a bowl once you get to the office and heat in the microwave on high for two minutes. Let cool and dig in! 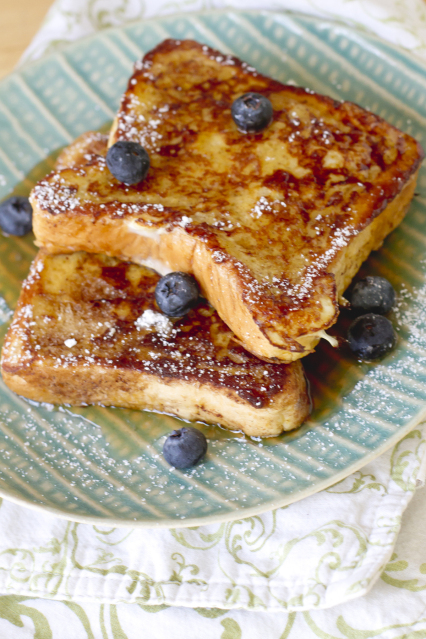 Last but not least, for all my decadent breakfast lovers out there, French toast! Who can say no to a pile of warm, delicious, fried bread?! Your traditional version using butter, Texas toast and loads of syrup is clearly racking up your calories, fat, sugar and carbs for the day. However, this lighter version will still give you the warm and fuzzies inside without the extra feeling of guilt of the side. Try swapping your white toast for Ezekiel bread and keep to two slices. Grease your pan using 1 tbsp. of coconut oil instead of butter. 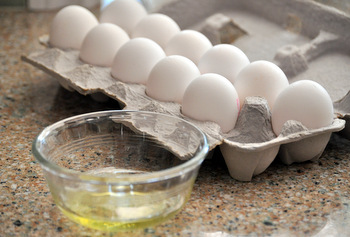 For your egg wash, mix ¼ cup of egg whites with ¼ cup unsweetened almond milk. Add vanilla extract, cinnamon and nutmeg to taste. Lastly, if you can’t do without syrup, try swapping your regular syrup for a sugar free variety and use no more than ¼ cup. Dive in and don’t look back! I hope this has you feeling a little more excited about your mornings and the breakfast possibilities! Whatever your preference or pace, there is something for everyone.